Judge’s House #2 | Historic Jacksonville, Inc.
We’re continuing our saga of the house at the corner of 6th and D streets in Jacksonville, commonly called the “Sheriff’s House” but constructed around 1867 for pioneer harness and saddlery businessman Henry Judge. Within a year, Judge sold his new residence to Dr. Franklin Grube, an Oregon newcomer. Grube, a graduate of Yale College and the University of Pennsylvania Medical School, had served as a member of the Kansas House of Representatives prior to enlisting as an assistant surgeon in the Union Army’s Pennsylvania Volunteers during the Civil War. Grube’s tenancy here was brief. In December 1868 Grube wrote a letter to the Oregon Sentinel positively identifying the existence of smallpox in Jacksonville and recommending treatment for the dreaded disease. 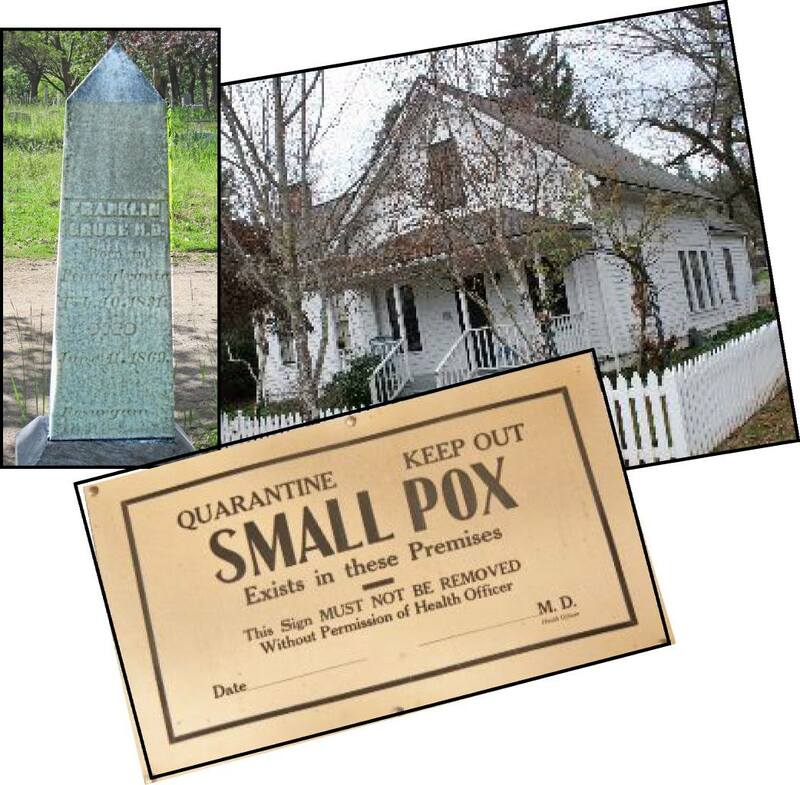 Smallpox soon reached epidemic proportions and by late spring had taken the lives of over 40 town residents. Grube himself succumbed to the disease only a year after he purchased this residence. He is buried in the Jacksonville Cemetery.